AARP states that nearly 10 million adults age 65 and older receive care at home or in a residential care setting. Home care aides work with clients to provide care services in their home and while most of these aides are amazing, some are not. 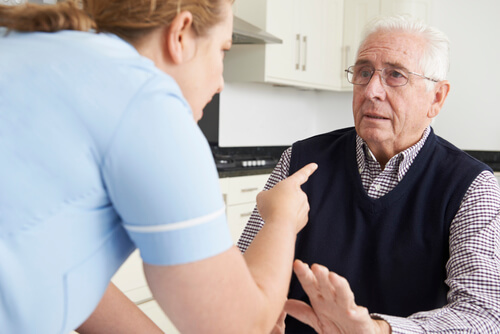 There are many stories in the news of caregivers who are abusive to those they are caring for. AARP also shares that studies show that more than 1/3 of people who suffer from dementia are abused by a caregiver, which can be an aide, family member, or neighbor. It’s very important that any caregiving aide is monitored and concerns are reported. This is one good reason to always use a home care agency to provide aides in the home. It is also good to visit often to check for any care concerns such as bruises, injuries, or a change in demeanor. If you are unable to travel to Austin regularly to check on the care your loved one is receiving then arrangeCARE is a good option. We are independent professional care managers who check on the wellbeing of your loved one and we are watchdogs when it comes to avoiding abusive situations.